Though he couldn’t have known it at the time, Darwin was describing the kind of enlightened (and evolved) self-interest that can also be found in a manmade entity such as the long bio-research partnership between the Georgia Institute of Technology (with its multidisciplinary engineering heft) and Emory University (with its sprawling medical school and clinical research capacity). It’s a partnership that has produced biomedical discoveries for decades, one of the most dramatic being the recent successful human clinical trial of a microneedle patch for flu vaccines, a project headed up for years by Georgia Tech researcher Mark Prausnitz, whose own appraisal echoed Darwin’s 19th century assertion: "From the very start of this project, our team at Georgia Tech has been working with the Emory team to develop the microneedle patches,” Prausnitz said. “And the success of the project has been due to the strong collaboration between Georgia Tech engineers and the bioscience and medical experts at Emory." The Georgia Institute of Technology and Emory University are connected by twisting ribbons of asphalt, five or six miles long depending on your destination. It’s a route that Bob Guldberg, executive director of the Petit Institute for Bioengineering and Bioscience at Georgia Tech, knows really well. “When I started I was going to Emory almost every day for my in vivo studies, and to be honest, if it wasn’t for Emory, I would not be at Georgia Tech,” says Guldberg, who came to Atlanta fresh from the University of Michigan in 1996, and has been a grateful beneficiary and influential proponent of another kind of connection between the two universities – a longstanding, ever-evolving biomedical research partnership. Guldberg arrived as an up and coming leader in orthopedic musculoskeletal research, which didn’t really have a presence at Georgia Tech at the time, “but there were potential collaborators in orthopedics at Emory," he says. So he joined the unique and growing research partnership that existed between a private university (Emory) and a public one (Tech). A year after Guldberg arrived, that partnership took a bold and historic step with the creation of a new academic unit. The Wallace H. Coulter Department of Biomedical Engineering (BME, launched in 1997) was the result of several things converging in the ecosystems of Emory and Georgia Tech. This joint academic department formally linking private and public institutions is the first of its kind and rated among the best in the world. BME was the organic offspring of earlier developments, such as the Emory/Georgia Tech Biomedical Technology Research Center and its seed grant program, which nurtured an expanding faculty interest in collaborative research when it was established in 1987. 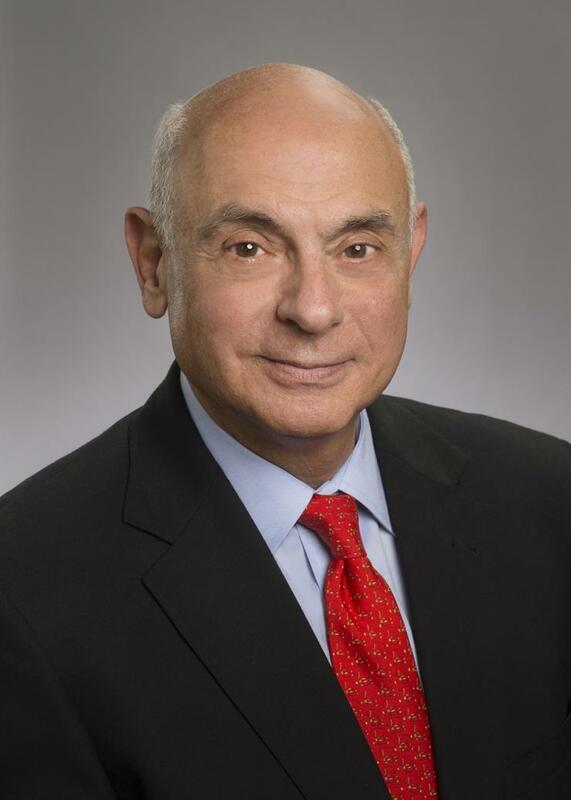 As Mike Johns remembers it, a conversation in 1996 on an airport escalator with Nerem ultimately led to the creation of a joint BME department. Johns had recently been named executive vice president director of Emory’s Woodruff Health Sciences Center and CEO of its Healthcare System. Nerem had been at Georgia Tech since 1987, playing a leading role in growing the collaborative bioengineering research efforts between the two universities. Now he was settling into his role as director of the fledgling Petit Institute, a multidisciplinary research center that strengthened the bond between Georgia Tech and Emory, with its faculty from both universities and focus on a team approach. Johns and Nerem had been attending a meeting in Washington, D.C., “and as we were coming up the escalators I said, ‘Hey, Bob, I really think Emory and Georgia Tech need to come together and form a biomedical engineering department. We don’t have an engineering school and you guys don’t have a medical school. This is something we can do together,’” Johns recalls. Giddens left Georgia Tech in 1992 to become Dean of Engineering at Johns Hopkins University, where he worked closely with Mike Johns, who had been dean of the Johns Hopkins School of Medicine. By September, the department was approved, Giddens was named as its inaugural chair, and a new era of collaboration had begun. In 1889, an Emory graduate and former Emory president, Isaac Stiles Hopkins, became Georgia Tech’s first president. Then it took almost a hundred years for the two institutions to embark on an official partnership. When that happened, bioengineering and biomedical research were the sparks. Interest in applying engineering principles to biomedical research was percolating at Georgia Tech by the mid 1970s, Giddens says. Giddens was among the researchers who banded together to form the Georgia Tech Bioengineering Center, “which was kind of a key cornerstone for building the rest of what’s happened,” says Giddens. He and his colleagues had some ideas about research and education opportunities between the two universities. “One of the first things we did was to approach Emory,” Giddens adds. The way forward led to the establishment in 1987 of the Emory/Georgia Tech Biomedical Technology Research Center and the influential seed grant program. Todd and Giddens understood the potential of collaborative research between the two universities – one a hotbed of bioengineering and biomedical research, the other home to one of the nation’s leading medical schools and healthcare systems. So they devised a seed grant that required faculty from both institutions to work together. 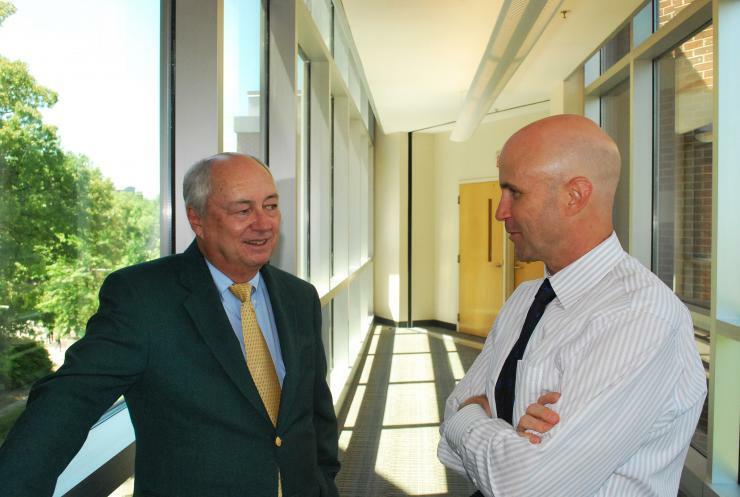 “That seed grant was catalytic in getting researchers to move into the biomedical research environment,” notes Wayne Alexander, former chair of Emory’s Department of Medicine. One of those researchers was Nerem, who came to Georgia Tech after being recruited from the University of Houston, where he chaired the Department of Mechanical Engineering. “One of the main attractions for me coming to Georgia Tech was the fact that the seed grant had been set up,” Nerem says. Years later, Nerem’s successor at the Petit Institute could say the same thing. Guldberg credits the program with catalyzing his sustained collaborative research with Emory’s Bob Taylor (division director of cardiology). “Our initial $25,000 Georgia Tech/Emory seed grant led to four funded multi-investigator R01 awards from NIH, probably totaling about $10 million in funding,” he says. Just as importantly, it’s helped train the next generation of investigators. For example, there’s Craig Duvall, co-advised as a student by Guldberg and Taylor, and now an associate professor of BME at Vanderbilt, working on NIH-funded research. The seed grant experience was also particularly educational for Todd, who took the idea with him when he became the founding president and CEO of the Georgia Research Alliance in 1990. “The Emory-Georgia Tech program was illustrative to me as we set up the GRA, because we were learning things – learning how to navigate the complexities of a joint venture, when two parties have their own sets of needs,” says Todd, now professor of practice in the Scheller College of Business at Georgia Tech. While the Georgia Tech/Emory seed grant program helped spur collaborative research, the two schools focused on academic pursuits, another objective of the biomedical research center, and began attracting the interest of major donors, like the Whitaker Foundation. In 1993 the Emory-Georgia Tech partnership secured one of just three Whitaker Foundation Biomedical Engineering Program Development grants, which supported development of a Ph.D. program in bioengineering (BioE). 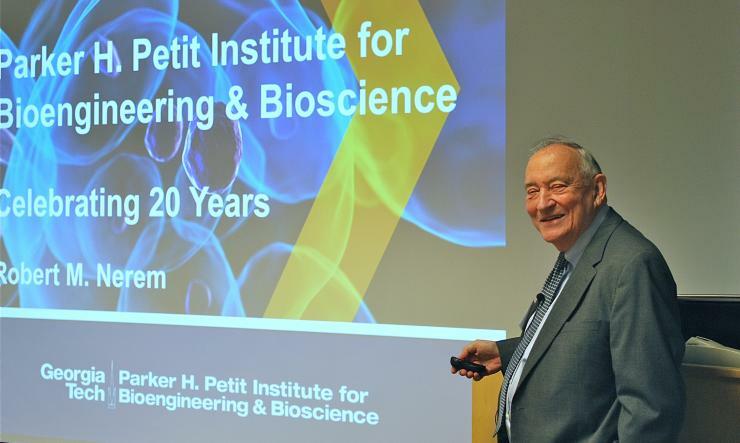 The first faculty member recruited through that grant was Mark Prausnitz, the microneedle patch leading researcher, a long-time member of the Petit Institute who now holds the J. Erskine Love Chair in the School of Chemical Biomolecular Engineering. Under Yoganathan’s guidance, the multidisciplinary BioE program soon became one of the top rated academic programs of its kind in the nation. Then, with the creation of the BME department in 1997 (it wasn’t named for Wallace H. Coulter yet), began a push to develop new academic programs, including graduate degrees in BME awarded jointly. They acted decisively, both Emory’s trustees and the University System of Georgia’s Board of Regents (which governs public universities, like Georgia Tech), approving the department in a matter of weeks. The plan was to hire 15 to 18 new faculty within five years, and create a brand new graduate program. That task fell into Yoganathan’s capable hands, so he led the effort to map out a joint Ph.D. program in biomedical engineering, which was approved in 1999, while Paul Benkeser (currently senior associate chair of BME) led development of the undergraduate program. Students began enrolling in both programs in 2000, the same year the Whitaker Foundation granted a $16 million leadership development award. In 2001 the Georgia Tech/Emory Department of Biomedical Engineering was renamed for Wallace H. Coulter (one of the influential engineers of the 20th century, who shaped the fields of automated cell analysis and hematology) when the Coulter Foundation committed $25 million to the department. 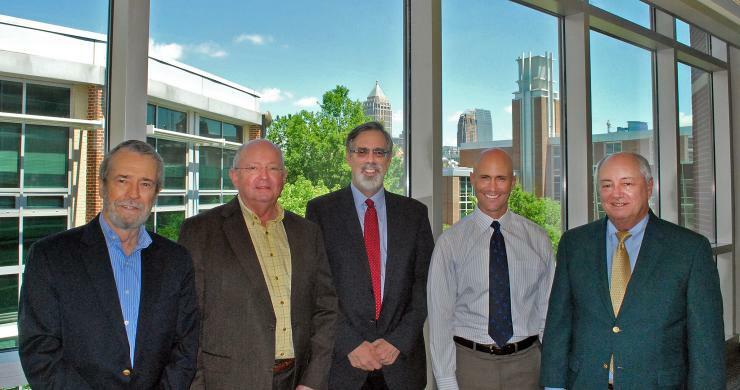 The gift supported a department chair, faculty chairs at Georgia Tech and Emory, labs, graduate fellowships, undergraduate clinical education, and the Coulter Endowment for Translational/Clinical Research. Early on in the life of the Emory-Georgia Tech BME venture, Giddens made one of the most significant moves of his career: he brought Wendy Newstetter, a learning scientist, to the department. “I’d become aware of the cognitive and learning scientists that were working at Georgia Tech in the College of Computing and thought that since we were going to build a curriculum, undergraduate and graduate, maybe we could get them interested in collaborating and using us as guinea pigs,” Giddens says. That move began a culture of innovation in education that still fuels the department today, according to Joe Le Doux, one of BME’s first faculty hires, and now the department’s associate chair of undergraduate learning and experience. They created an environment for undergraduate students that emphasized collaboration over competition, immersing students in real-world, complex problems. As student enrollment soared and faculty resources were stretched thin, grad students and post docs (and later, upper classmen among the undergrads) were recruited to serve as PBL facilitators. The curriculum has evolved but the focus is still on PBL, more than ever. There are fewer lecture courses now in BME, and more design courses. The BME curriculum continues to get rave reviews nationally, which is manifested in annual department rankings. Over time, both the graduate and undergraduate programs have climbed in the rankings with the undergraduate program currently listed No. 1 on the U.S. News and World Report annual rankings and the graduate program No. 3. The Georgia Tech-Emory partnership gained further momentum in 1998 when the National Science Foundation awarded $12.5 million for establishment of the Georgia Tech/Emory Center for the Engineering of Living Tissues (GTEC). Headed by Nerem, that joint research center has evolved into its current incarnation, the Regenerative Engineering and Medicine research center, a collaboration of Emory, Georgia Tech, and the University of Georgia. Two years later, success followed success as Emory and Georgia Tech, with support from the GRA, created EmTech Bio, a biotech incubator with lab space and scientific equipment for start-up and early-stage companies on the Emory Briarcliff campus. Through the first decade of the 21st century, the Georgia Tech-Emory partnership continued to attract large grants, especially from the National Institutes of Health, for nanotechnology research. In 2004, NIH made awards totaling $10 million to launch a multidisciplinary research program in cancer nanotechnology. In 2005, the National Cancer Institute of NIH awarded $19 million to the two universities for the creation of the Emory-Georgia Tech Nanotechnology Center, one of seven National Centers of Cancer Nanotechnology Excellence. That same year, NIH awarded Tech and Emory scientists $11.5 million for a new program to create advanced nanotechnologies aimed at detecting and analyzing plaque at the molecular level. “Our researchers were doing cutting edge research in nanotechnology before nanotechnology was being done by everyone. It brought us some high profile grants and gave us a lot of visibility in the scientific community,” says McIntire, who came to Georgia Tech from Rice University in 2003, as the U.A. Whitaker Building (home of BME on the Tech campus, next door to the Petit Institute) was still getting its final touches, while over at Emory, labs and offices were renovated for BME in the Woodruff Memorial Research Building. In 2007, the NIH awarded more than $31 million over five years to a partnership that included Emory, Tech, the Morehouse School of Medicine, and Children’s Healthcare of Atlanta. The partnership focused on accelerating the translation of lab discoveries into healthcare innovations for patients. The result is the Atlanta Clinical and Translational Science Institute (ACTSI). BME remains one of a number of powerful links between Emory and Tech, whose partnership continues to draw major support, such as the $15.7 million grant from the Atlanta-based Marcus Foundation in early 2016 to create the Marcus Center for Therapeutic Cell Characterization and Manufacturing (MC3M) on the Georgia Tech campus. 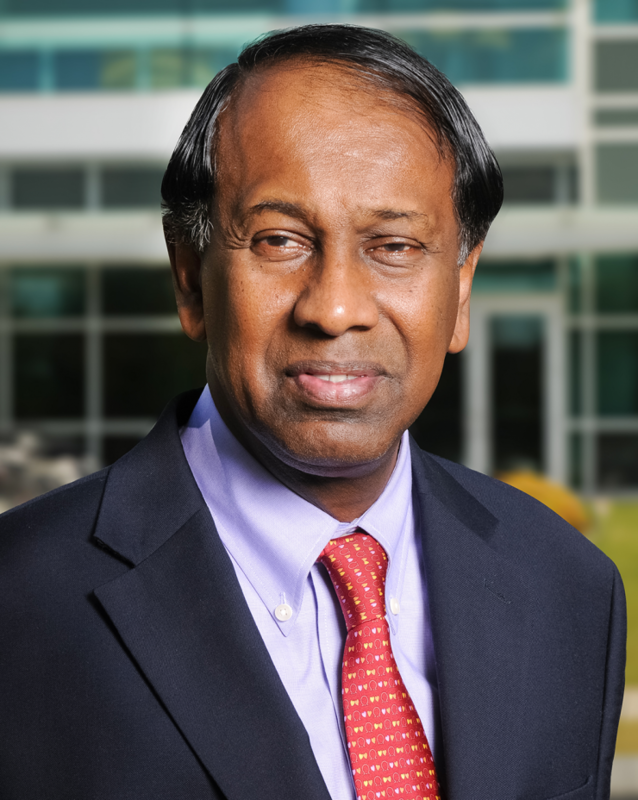 Directed by Petit Institute researcher and BME Professor Krishnendu Roy, the new center will partner with institutions around the country, such as Emory and the University of Georgia, among others. Meanwhile, leadership at both universities envision even more of this kind of high-octane collaboration. It’s vital. What used to be a pioneering notion has become something of a necessity. 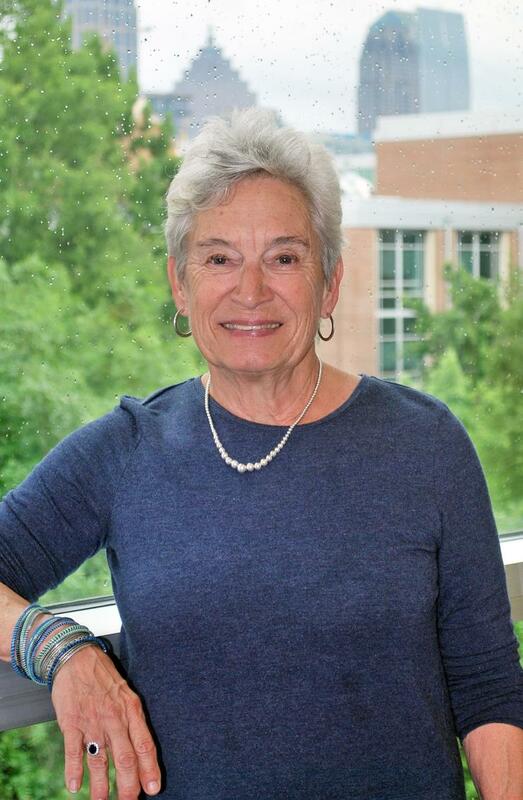 The two schools began a new chapter with the announcement in May that Susan Margulies had been named chair of the Coulter Department (and a GRA Eminent Scholar in Injury Biomechanics). Currently a professor of bioengineering at the University of Pennsylvania, Margulies is the fourth chairperson and first woman to head what is now the largest BME department in the country with more than 1,500 undergraduate and graduate students. Although the leadership has changed over the years, one constant has been the continual commitment to the Georgia Tech/Emory partnership. In January of this year, Jon Lewin, the president, CEO, and chairman of Emory Healthcare visited Georgia Tech for a half day discussion of the partnership history and future opportunities. Lewin envisions an expansion of BME, as well as regenerative medicine and immuno-engineering research, “and embracing new joint programs in critical areas of medicine, such as cancer and neuroscience, and emerging fields of antibiotic resistance and the microbiome, as well as precision medicine – taking advantage of health care informatics and big data is an obvious area of future collaboration,” he says. 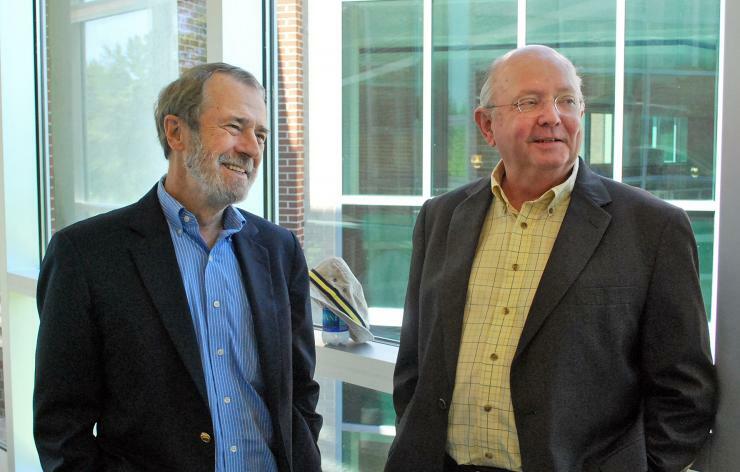 The first two chairs of the Coulter Department of Biomedical Engineering: Don Giddens (former dean of Georgia Tech's College of Engineering) and Larry McIntire.